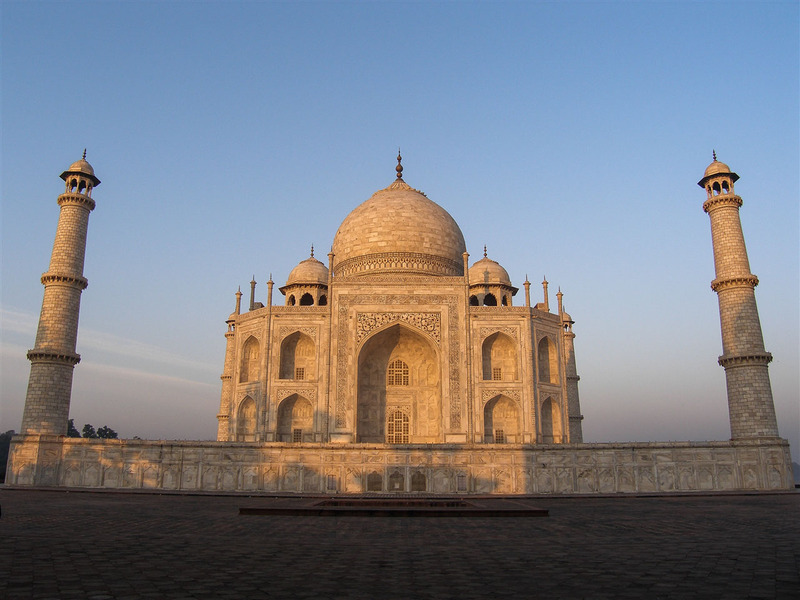 The future King Edward VII, visiting India in 1875, remarked that it was commonplace for every writer “to set out with the admission that the Taj Mahal is indescribable, and then proceed to give some idea of it”. 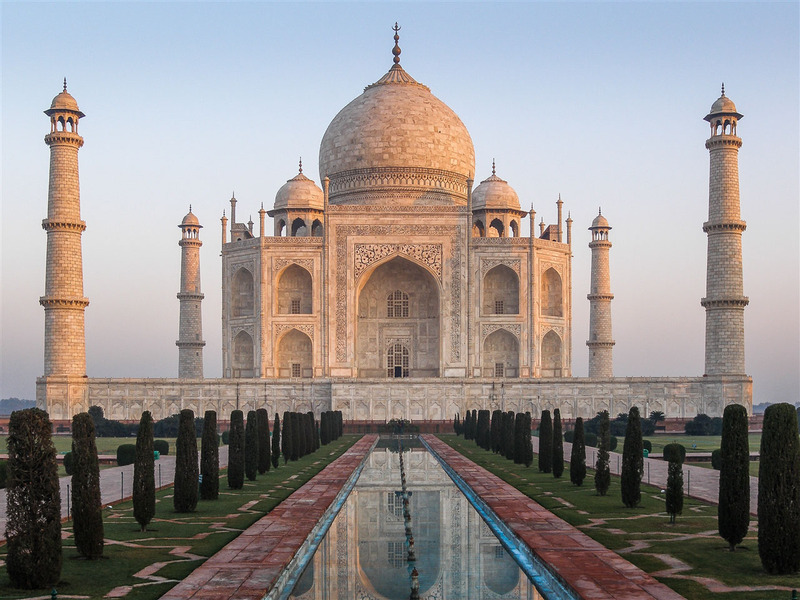 I don’t think words exist in the English language to adequately frame the experience, and besides, the Taj Mahal must be one of the most documented and photographed buildings on the planet. My visit was for sunrise on Christmas Day back in 2005. On arriving it was almost completely dark, and I can still vividly remember the experience of watching the silhouette of the mausoleum slowly take shape in front of me as day replaced night. One of those rare magical moments that will never ever leave me. The added bonus was just how quiet it was, in fact I don’t recall there being anyone else in the complex for a good couple of hours after sunrise, we seemed to have the monument completely to ourselves. I remain a little surprised by this even today, I’m sure I wouldn’t be so lucky if I attempted to return with the slightly improved camera gear and photographers eye that I think I now have. 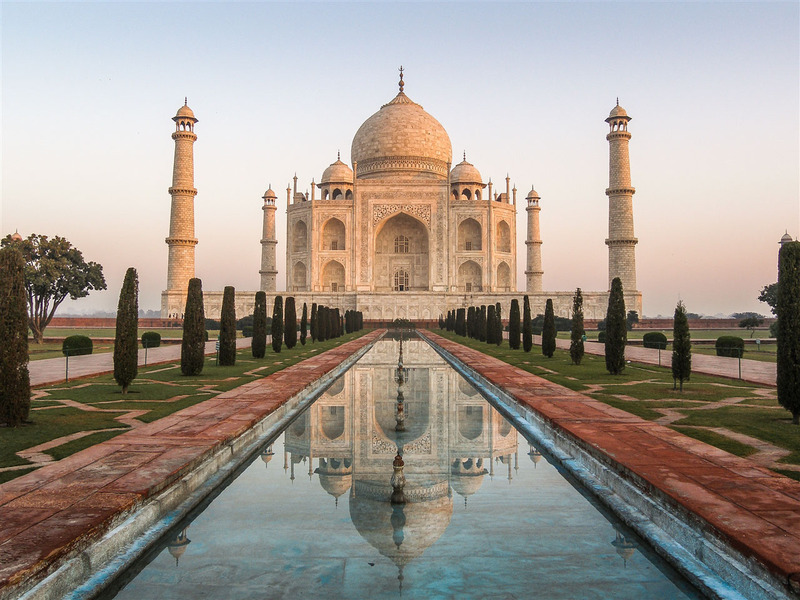 The Taj Mahal was built by the Mugual emperor Shah Jahan for one of his many wives, who died in 1631 at the age of just 38 having given birth to their 14th child. It was completed only 12 years later in 1643. 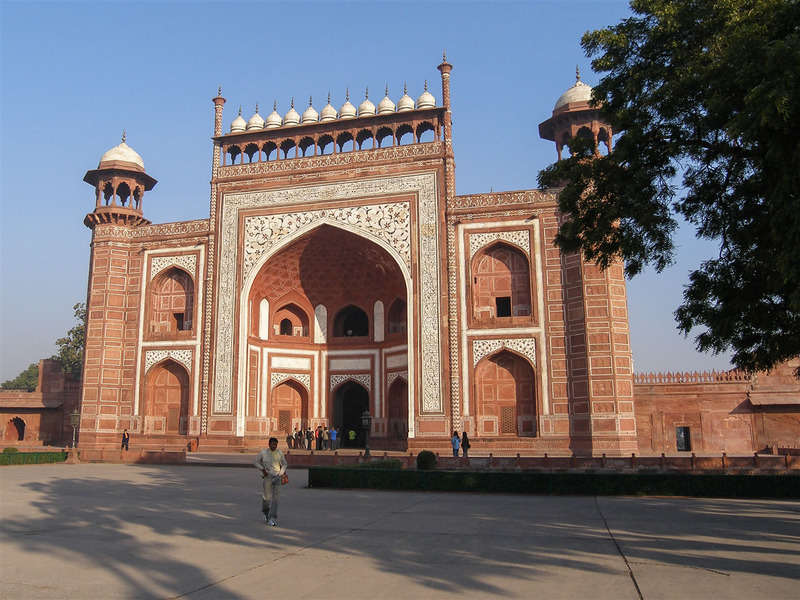 The complex you see today is just 50% of the original size, the sprawling growth of Agra city has swallowed up much of the peripheral gardens and gates. 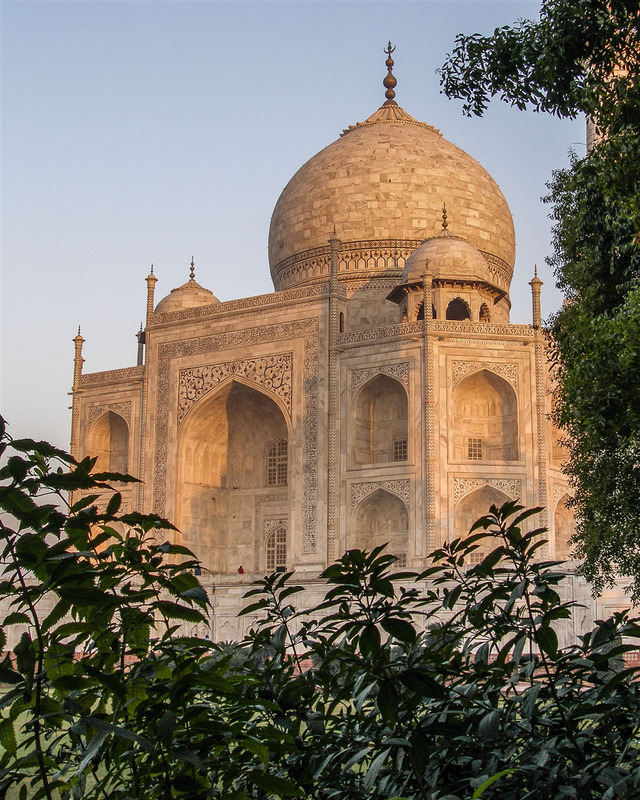 Some historians have wondered why the Taj Mahal is at the end rather than in the middle of a garden, which is unlike other Mughal tombs. 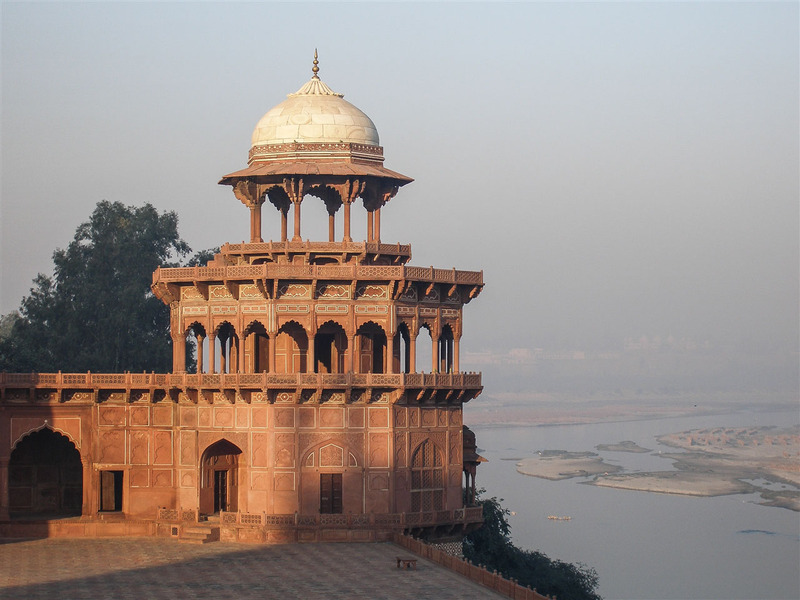 It has been suggested that the river behind the mausoleum should be seen as the east-west axis of the gardens, and that another building was planned to be built on the opposite bank with a connecting bridge. 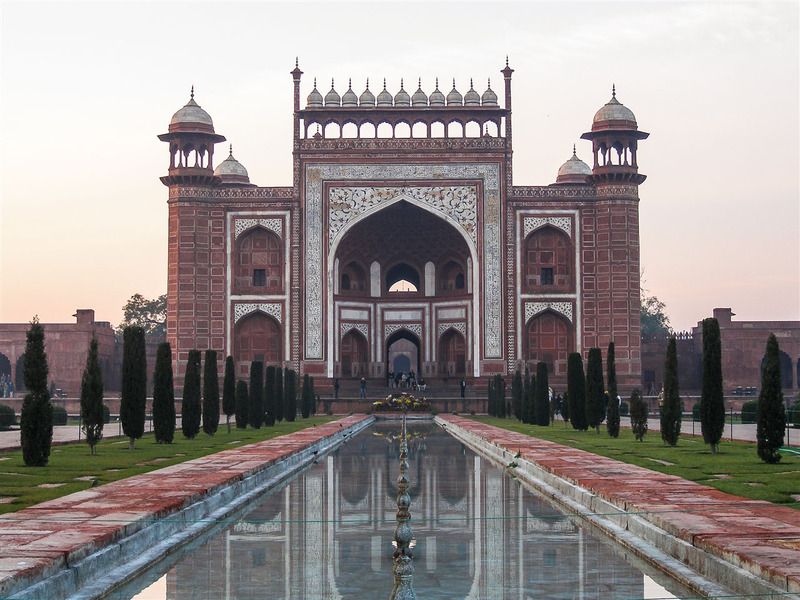 This would then have echoed the Mughal tradition of symmetry and placing tombs at the heart of a much larger formal garden. 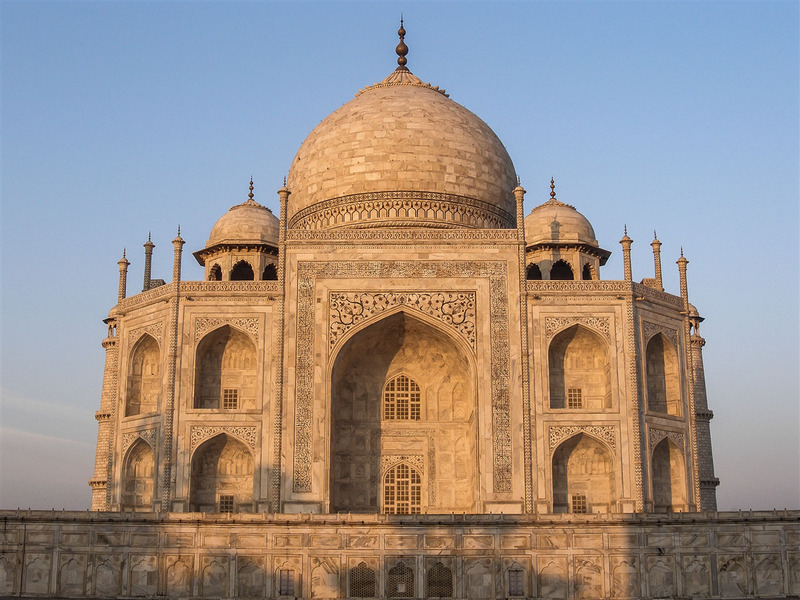 The theory extends further, suggesting that Shah Jahan had plans to build his own replica of the Taj Mahal on the opposite bank out of black marble – the Black Taj. There’s no hard evidence that this was ever his intention, some blackened stone was discovered on the opposite bank at Mahtab Bagh when investigations where carried out some years ago, but they turned out to be discoloured white marble. All the archaeologists could find was more formal gardens and an ornate pool where the Black Taj was supposed to stand. It is an awe inspiring building, agreed. I loved it, great pics! Thanks, that’s very kind of you ! 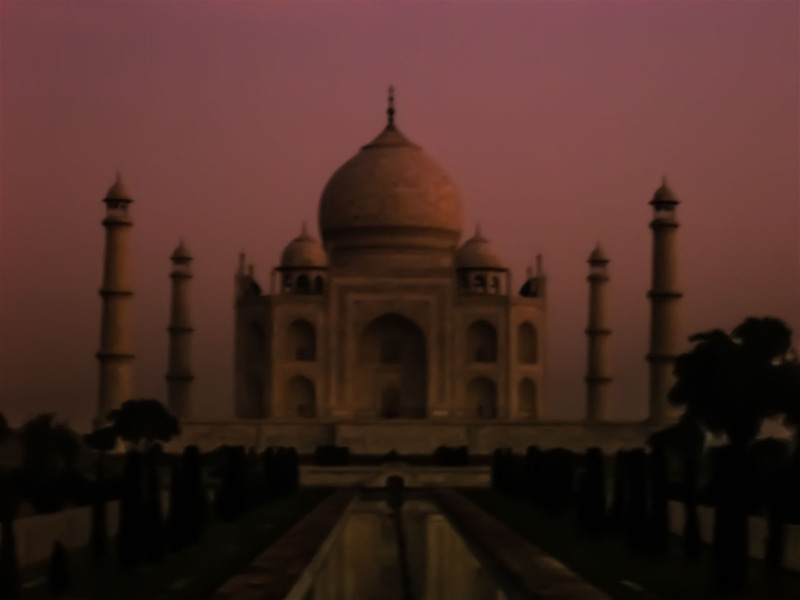 I love the symmetry of the Taj Mahal and the soft colors at sunrise. Great pictures! Thanks for the link, really appreciate it ! 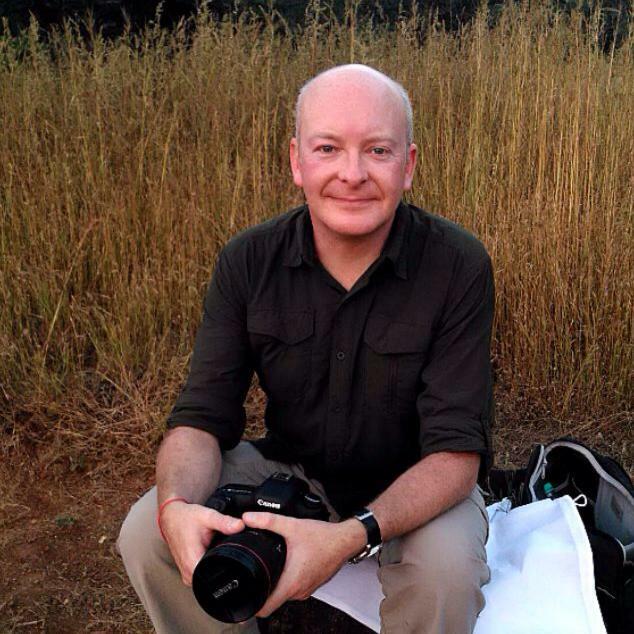 Hi Kevin, nice to see your blog and i am really impressed with the description and photography. 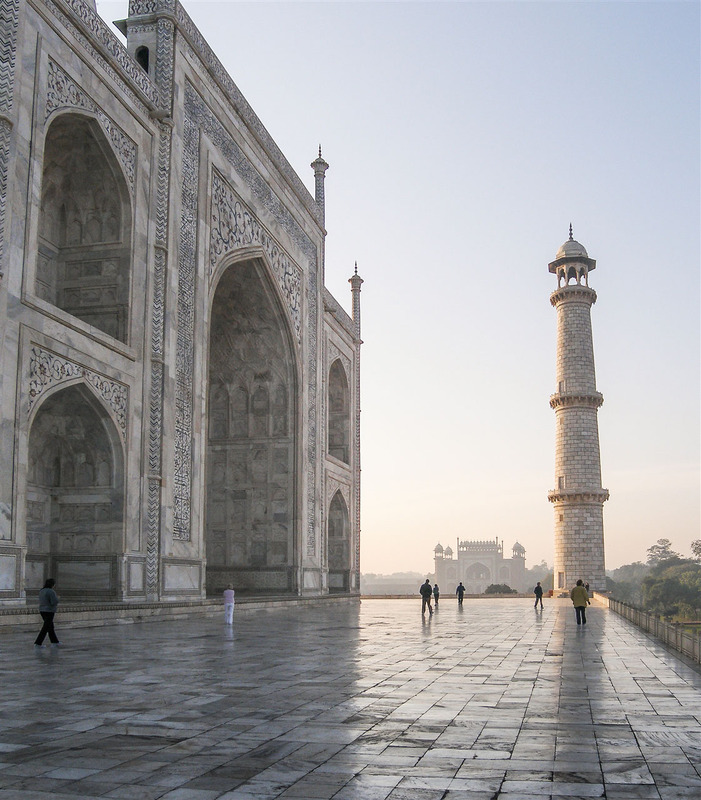 As you mentioned about the building on the opposite side of Taj then i always wondered whether some one would erect the building first or will finish up the garden. My common sense says that the Edifice should be erected first instead of gardens. So i feel the opposite side is the ruins of a temple which was demolished by the invaders. 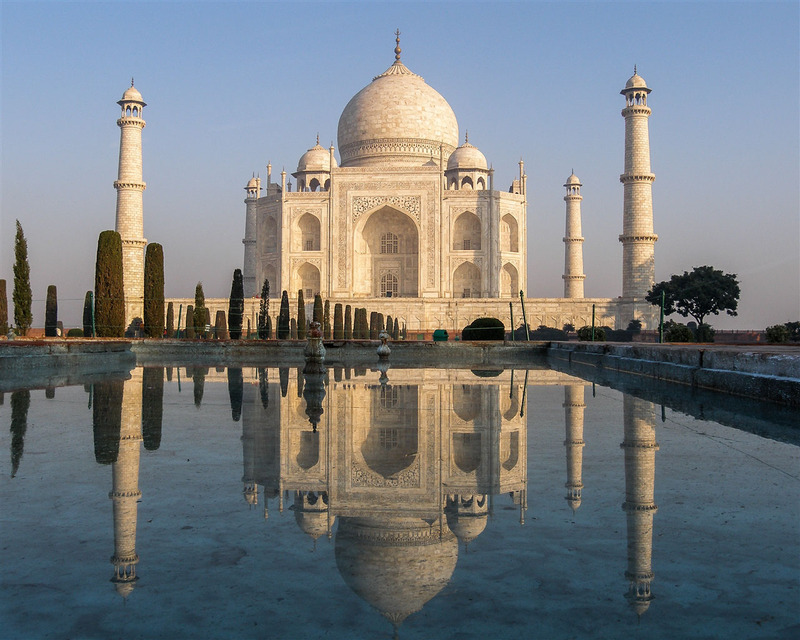 I also like to share that Taj Mahal was also a Hindu Temple made by King Parmal (Parmadi Dev) of Mahoba, Uttar Pradesh and he constructed 2 temples in Agra. First is Tejo Mahalaya dedicated to lord Shiva and Other one is dedicated to Lord Vishnu (Itmad-ud-Daula Tomb). I just wanted to share it with you and being a travel photographer of ancinet building you can easily find the similarities between these buildings. Prambanan Temple of Java is also based on same concept as Taj Mahal. Ayutthaya temple of Thailand also has the similar architecture.